Railpictures.ca - David Brook Photo: Back when anything was possible on CP; including signing a release form and going for a walk around the yard……… | Railpictures.ca – Canadian Railway Photography – photographie ferroviaire Canadienne. I remember seeing those leased Chessie GP40′s up North on the MacTier sub. 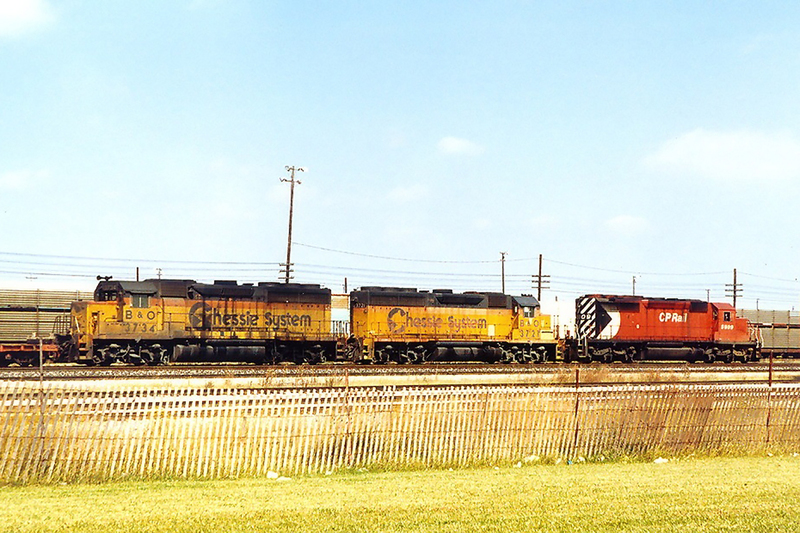 Always wondered why when they were running SD40-2′s and M636′s back in the 80′s.